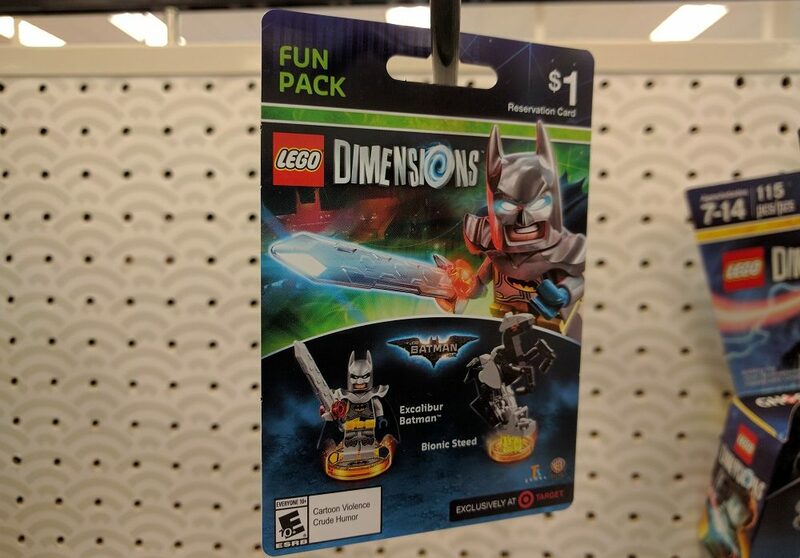 Target is the (temporary) exclusive home for this LEGO Dimensions pack. You can pre-order the pack online, or you can head to your local Target which are starting to put out these pre-order cards. If you look at the back of the card, it says the exclusivity runs until Tuesday, March 21, 2017. Logically, you could conclude that is when the release date of Wave 8 will be. Wave 8 is expected to include the Goonies Level Pack and the LEGO City Undercover Fun Pack (with Chase McCain). Remember Wave 7.5 and Wave 8 were originally planned to be a single wave 8, but were split into two smaller waves. In addition to the information about the release date, we now also know the rebuilds for the Excalibur Batman Fun Pack. 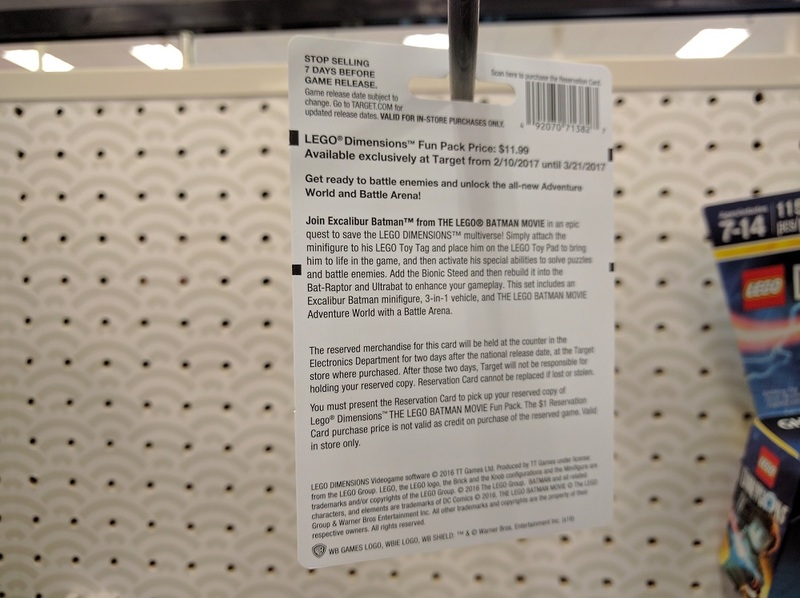 Target stores are in the process of getting these cards now, so your store may be rolling it out over the next couple of days.